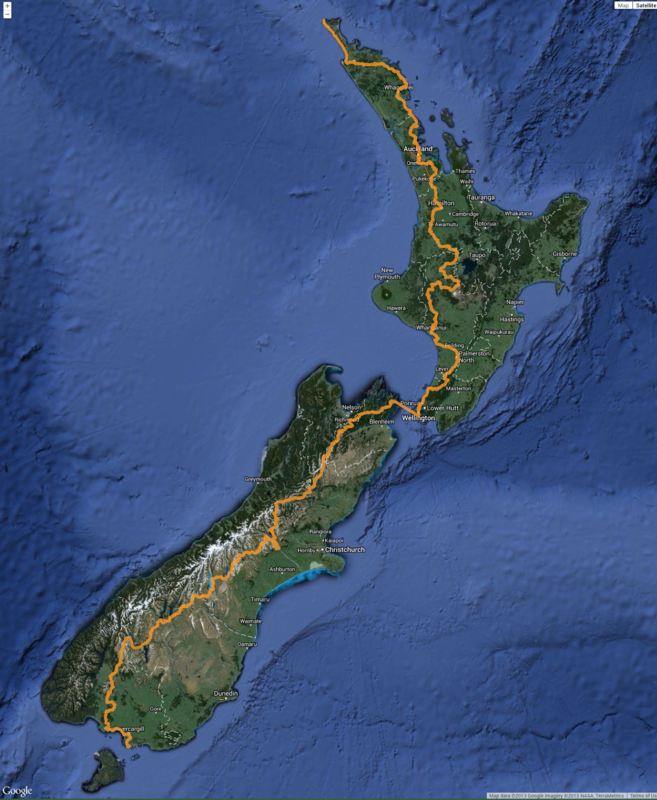 From Cap Reinga in the north, to Bluff in the south, the Te Araroa Trail, following 3000 km of track , cross all the archipel of the New Zealand, from subtropical forest to subpolar alpin climat. From 5 to 6 months will be necessary to walk it all from north to south. The departure in schedule in December to avoid the snow and melting-snow rivers in the south island. I’m not gonna be on a rush at all, as my main aim is the observation of one the last place in the world with Mesozoic forest as it was possible to found in the Gondwana 100 million years ago. And so, why « Eat The Road » ? If I don’t want to rush the trail, it is mainly for taking the time to observe it, not just crossing it from north to south. New Zealand has been isolated from the rest of the world for many socio-climatic parameters, and have seen the first populations arriving just a millennium ago. Before this, a flora and fauna shaped by the prehistoric age and the alternance of ice age was covering the whole territory. The first populations, coming from Polynesia, settled on the cost line, bringing with them their agriculture, but also incorporating in their diet years after years the specific natives flora of the archipelago. This the plants I am interested in ! Observe in the nature a plant which have been a part of the human culture of our ancestors, is a time-travel experience, but also bring in the one who knows how to recognize them a deep feeling of respect for the area is crossing. I precise that I don’t want to play the game of the unconscious forager, taking the risk of poisoning himself while potentially destructing the wild life far away from his home. What I want is most of all to walk on the way of ancient track, making documentation of what they are and what they were, to bring information to everyone who wants to walk the same way . And what you will o do with your data ? I want to take GPS waypoint on my way of every pertinent natural element, floristic, or geologic, allowing everyone who want to walk the trail to observe precise plants on precise waypoints, while being able to see the evolution of the areas. For example the dynamic of climatic changes, and the relative easiness of travelling are parameters rising the risk of spreading of invasive species. This way, giving access to anyone to waypoints on the trail it gonna be possible to contribute to an ecological survey while learning about the natural heritage. Every trampers will have the possibility of living his passion while bringing back data from remote places. The participative science, when the sharing economy conquer more and more sectors, can be a very powerful tool if it grow on a community of peoples passionate about nature, as your are for reading me until this point !